Biomes are distinctive plant and animal communities that exist in specific climate zones. They can be the basis for a creative art project that focuses on the colorful vegetation and interesting organisms that make each biome distinct. These natural communities can be represented using a variety of art media. 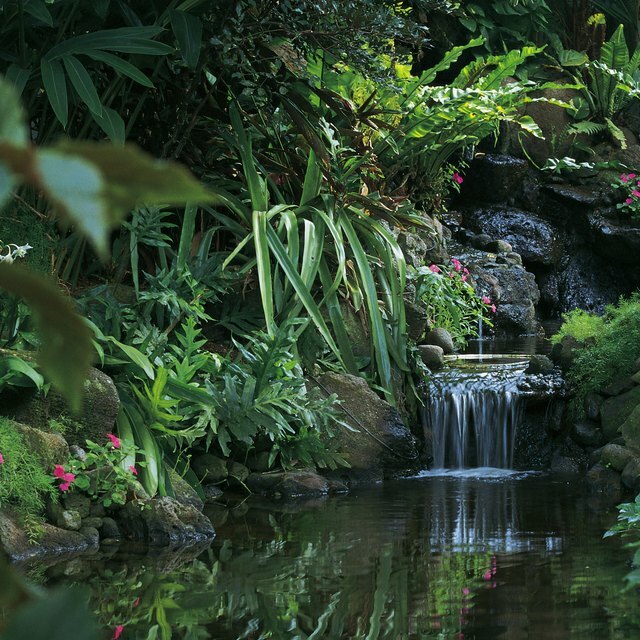 Aquatic biomes include oceans, lakes, ponds, creeks, streams, wetlands and reefs. The types of sea creatures and plants found in aquatic biomes varies. Oceans contain larger sea creatures such as dolphins and whales. Other aquatic biomes generally contain smaller aquatic life, including alligators and smaller fish. 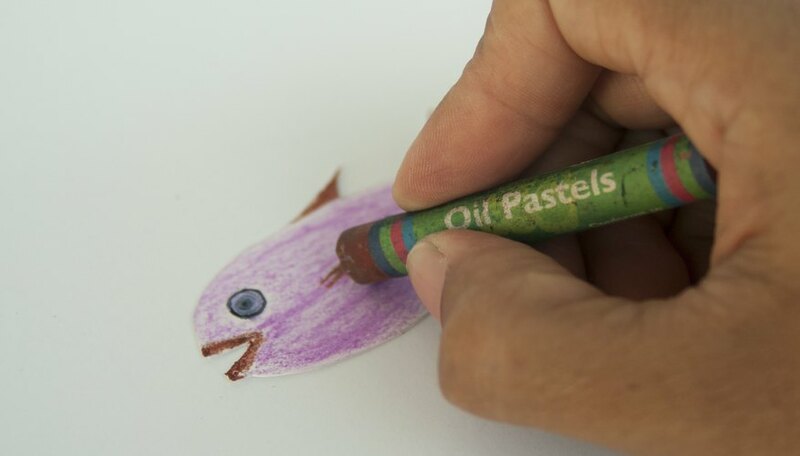 Use colorful oil pastels to draw the biome's creatures on white paper. Draw fish, turtles, crabs, water-dwelling plants, rocks or shells. Paint the remainder of the scene using watercolors brushed directly over the oil pastel. The paint resists the oil pastel, leaving a transparent wash of color on the white paper. Sand dominates the desert biome, but rocks, cactus, dunes and nocturnal animals can also be found there. Colorful sand art makes an interesting and appropriate media for a desert biome project. On heavy cardboard, sketch outlines of such desert creatures as snakes and kangaroo rats, plant life and landforms. 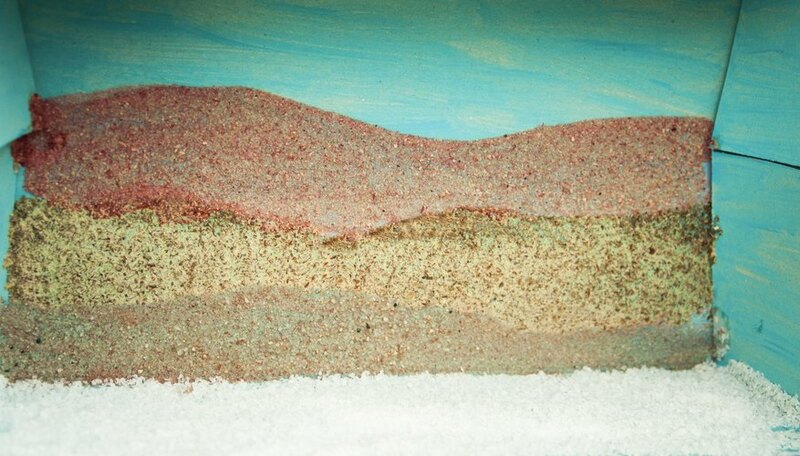 Paint large areas of the scene with glue, then sprinkle these parts with colored sand to create the desert scene's larger elements, such as ground, dunes and sky. Mix sand in paint to give it texture. Use this to paint the smaller plants and animals. Tropical, temperate and boreal forests cover one-third of Earth. Location determines the type of forest an area contains. Tropical forests located near the equator contain the widest range of plant and animal species. The moderate climate of the temperate forests, found farther from the equator, enables long growing seasons of annual vegetation and distinct seasons. Boreal forests, found farthest from the equator, experience extreme cold and have more evergreen vegetation. Typical forest animals such as fox, bear, deer and wolves may live in boreal or temperate forests. Create a variety of creatures and vegetation for any forest by making a diorama -- a model of the forest -- in a large flat container filled with dirt or sand. Paint a background of sky to stand behind the container as a backdrop. Use small branches as trees, clay to form the creatures and small pieces of silk or real plants for the vegetation. Create ground cover using sand or mulch mixed with leaves. Secure items in the diorama with hot glue. Savannas, or tropical grasslands, cover large portions of Africa, Australia and India. The flat, vast surfaces feature a few individual trees, but tall grasses dominate this biome. Some savannas feature zebras, giraffes, hyenas and elephants. Temperate grasslands, also called steppes, are found in South American, Russia and the plains of North America. They lack trees or shrubs and are covered in tall grasses. Wild horses, prairie dogs, wolves, jackrabbits and deer may live there. 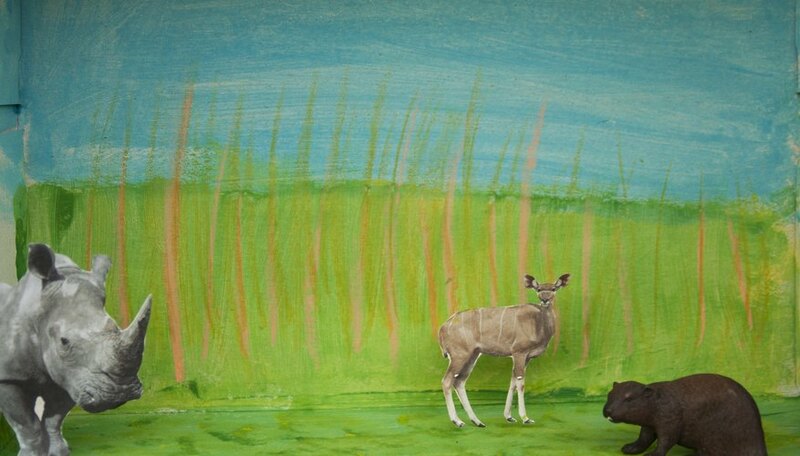 Paint the large, flat lands of a grassland biome on a wall-sized mural of paper or cardboard. Paint the grasses with large, wide strokes of color to cover the landscape and paint blue skies above it. Add appropriate animals for the type of grassland biome you create. Stover, Elizabeth. "Creative Biome Art Project Ideas." Sciencing, https://sciencing.com/creative-biome-art-project-ideas-7904219.html. 25 April 2017.